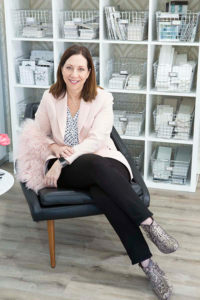 Rande Leaman loves making the interior design process fun and pleasurable and all about her clients. Rande Leaman Interior Design is a full service design firm specializing in residential design. Rande’s fresh perspective and attention to detail is evident from the initial consultation to the completion of each finished project. Encompassing every aspect of interior design, from concept to installation, she and her team will take on projects large and small. Remodeling and home renovations are a specialty. Adept at space planning and material selection, she will work within all budget restraints. Her follow-through and love of the design process creates beautifully livable homes that are timeless and reflect each clients personality and individual taste. From start to finish, this is a designer who listens to what a client wants and needs– and then has the creative vision to bring that plan to fruition. Rande curates the decor of a home, so there is a flow and a point of view in the overall scheme. The value of the DESIGN EXPERIENCE is worth more than the products, colors and fabrics. This keeps our clients returning and recommending Rande Leaman Interior Design. Ms. Leaman began her studies with a Bachelor of Fine Arts from NYU. She then went on to pursue Interior Design at the UCLA Extension Program, completing her training with a degree in Architectural Interior Design at Santa Monica College. Her past design projects have included contemporary, transitional and traditional residences in the Los Angeles area. She is currently working on several projects in the San Fernando Valley and on the Westside. 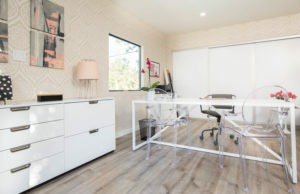 Rande has created a studio environment that provides a beautiful and calm work space for herself and her team. She welcomes clients for meetings here and organizes all her ongoing projects in the space.